a spot of whimsy: parents. are funny. as are the emails they send to their kids. my mom is absolutely going to kill me for this, but i've been laughing about the email below since she sent it to me on monday, and i just had to share. some context first: in the last 6 months, my dad was offered a job in d.c. rather than totally uproot the family in michigan, my parents are now running two households: one in michigan and one in d.c. my mom's still getting used to d.c. apartment living, and below is the result. "i just discovered that when you open the gate at the apt's recycling center and go in AND the wind blows --- then the gate closes and the latch comes down and LOCKS YOU IN !!!!!!!!!!!!!!!!!!!!!!! I need a lawyer for mental stress that this caused me. Luckily I had my phone and some pieces of cardboard. [pieces of cardboard? wow, that IS lucky. -Ed.] First I tried the cardboard and wasn't successful, called Dad cause I wanted him to call the office, he said he'd be home fairly soon, but my mind was racing that there could be creatures in there so I worked some more on the latch with the cardboard and got it open. I watch and read too many nasty stories and I was thinking "Murder at the Recycling Center." Well I wasn't exactly MacGyver or Harrison Ford but I was happy that I didn't have to be rescued from the dumpsters. " 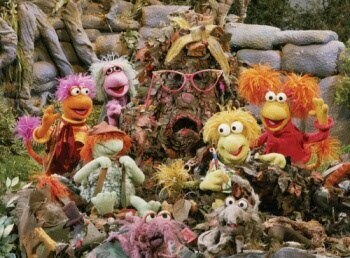 is anyone else picturing the fraggle rock garbage creature right now? just me? rescued from the dumpsters. it's totally going to sweep the awards at this year's sundance film festival (they give out awards at those things, right?). it's the next precious. now, don't think i'm going to let my dad off the hook, here. in emails long past, he has labeled the love of his life, his 1996 maroon chevy suburban (which has over 200,000 miles on it and an engine he's had to rebuild at least twice), not only an imperial cruiser but also the black pearl (in the context of arriving at football tailgates, lol). we're pretty sure he wants to be buried with that thing. 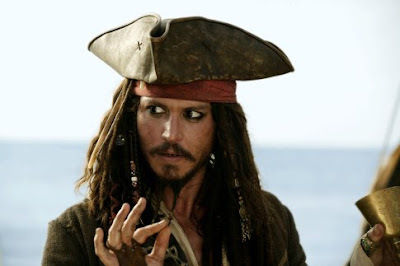 why is the rum always gone?! love you, m and d! aren't you glad you gave us life just so we could make fun of you on the interwebs? !